The Sanjay Leela Bhansali-directed period drama will hit the screens on January 25, after months of stiff opposition from fringe groups. 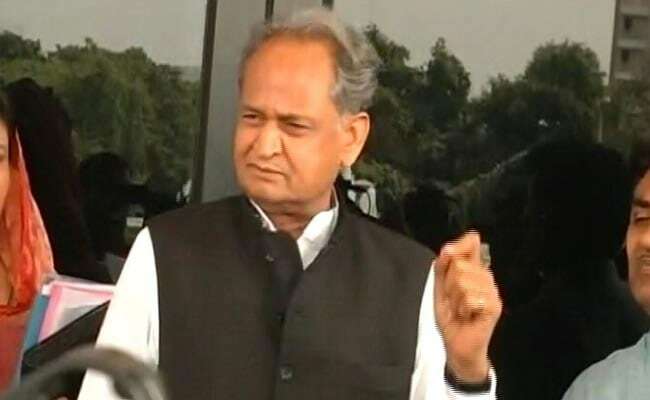 Bundi (Rajasthan): Former Rajasthan chief minister Ashok Gehlot Monday accused the BJP of politicising the issue of the film "Padmaavat" for reaping benefits in the Gujarat elections. The controversy could have been laid to rest much earlier through negotiations between the government and the parties concerned, he told reporters. "The BJP was politicizing the Sanjay Leela Bhansali directed film to reap benefits in the Gujarat polls. The controversy was intentionally twisted and nurtured," the senior Congress leader alleged. The film was first banned in Madhya Pradesh (MP), then in Rajasthan and to exploit the situation, it was blocked in Gujarat too, he claimed. "Such intentions and efforts spoil the environment of the country," Mr Gehlot said. Had the government been a little serious, the situation would not have arisen, he said. The government should protect freedom of expression and at the same time ensure that the sentiments of any person are not hurt, Mr Gehlot added. The Sanjay Leela Bhansali-directed period drama, starring Deepika Padukone as Rani Padmavati and Ranveer Singh as Alauddin Khilji, will hit the screens on January 25, after months of stiff opposition from fringe groups.